Just an update on the process of re-editing all the old stories – so far two have been done. The Tomb of the Tagosa Kings and The Adventures of Ray the Robot have now had a go over trying to fix any errors that fell through the cracks previous times. I also gave The Adventures of Ray the Robot a new and slightly improved cover. The other stories will slowly get the same editing process. Also, the next two Nhaqosa short stories are getting close to being finished, and after that it will be time to finish Dawn of Wolves. The new story ‘Dawn of Wolves’ continues to make progress – the rewrite is up to 39,000 words already (even though the rough draft isn’t finished yet.) When I started I thought it would be only about 40K words, but now it is looking at being between 50 & 60K, taking it out of novella range and into a short novel. I’ll still probably label it as a novella. Fleshing it out to a fully fledged novel would need another 30-40K words and there just isn’t that in the plot, not without masses of padding and adding that much verbose purple prose would just ruin it. Sadly it can be a bit of a trap many fantasy authors fall in to. There is one series that got bogged down in this to such a state that one entire lengthy chapter of a book was just a precession of people entering a room described in such detail that near every stitch on their clothes was made note of. 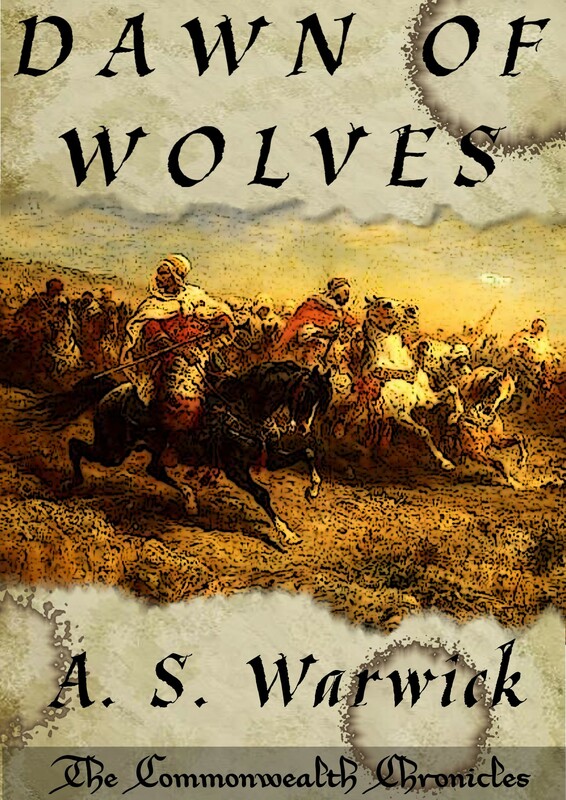 The story of Dawn of Wolves recounts the start of the Nacatori Wars that The Tomb of the Tagosa Kings is set near the end of. It is told from two sides, on one a young, inexperienced Lieutenant Elraes, but also has appearances from other important characters, like Professor Halir, Harry Ban and others. It is the first meeting between Elraes and Harry as well. On the other you have Colonel Inkhumetekh, Haksetian advisor to the Nacatori. It is important to get the other point of view as it is an effort to help dissuade the notion that somehow they are the ‘evil empire.’ Also of interest is a character who makes an appearance, Tol Ventaro, who works alongside Inkhumetekh. That is a name I have used before, in Tears of the Mountain. It is the name Prince Travanto gave himself. One thing about fantasy is you rarely see names used more than once – there can be a cast of thousands and each has their own unique name. This is a far cry from how we do it in the real world. Some names are far more common than others – one year in primary school there were six of us called Andrew in the one class. I know plenty of other people who share names as well, not to mention the fact that some names run in families. This is something I intend to happen in my stories. One example is the name Heric – named after a legendary figure in Maedari history, Heric Jennet, it has become the most popular boys name in the setting, though for various reasons every single one is more commonly referred to as Harry (much as in our world Henry used to be known as Harry – Prince Harry’s real name is actually Henry). Of course they need to be differentiated and as such acquire nicknames, such as Red Harry, Tall Harry, Harry the Younger and the like. Now back to the writing so I can get the story finished.